Which is better: 12 Gauge or 20 Gauge? Anybody that opens up the can of worms that is this debate is usually hard set on one or the other. Each caliber has great utility; otherwise, they would cease to exist in terms of shotgun slugs. If you want to lay down some sheer, blunt force trauma because you’re in pursuit of elk, moose, bear or other big game, then 12 Gauge is going to be your new best friend. If you’re stuck in a shotgun zone during whitetail season with wide, open spaces, then you better get acquainted with a 20 Gauge. When you change the oil in your vehicle, you always reach for the correct wrench when getting that oil pan nut off (everybody is now thinking: Is mine a 15mm or 9/16”?). Similarly you should use the best caliber for your particular hunting situation. I hear a lot of customers who’re advocates of 12 Gauge say that 20 Gauge is far too small to hunt whitetail. Well, they’re really overlooking the size of 20 Gauge then. Most people would agree that .338 Lapua Magnum is a little overkill for whitetail deer. Well, consider this… a 20 Gauge in inches is approximately 0.615” in diameter, nearly twice the entry hole a .338 Lapua leaves on game. So 20 Gauge is no joke, it can be just as effective in taking down game as large rifle calibers. Albeit, .338 Lapua Magnum has significantly more energy, but a lot of the time a good entry and exit hole is what will humanely down your game. People who hunt with a 20 Gauge traditionally save more meat on their game as well. If a deer gets walloped in both shoulders by a 12 Gauge, a lot of potential venison can be ruined. Another added benefit to 20 Gauge is less recoil. This can be very beneficial when introducing younger shooters to hunting or if you need to make successive shots at game, you’ll recover and be quicker on target with less recoil which can mean the difference between a successful and an unsuccessful hunt. When you start perusing your local gun shop’s shelves for ammunition, you should notice that 20 Gauge ammo is cheaper as well. In some stores you visit 20 Gauge might be equal in cost to 12 Gauge, but hopefully in your area that isn’t the case. I have also been told by numerous customers that 20 Gauge shotgun slugs and sabots group better than 12 Gauge. I can’t say with certainty if this is fact due to ballistics, less recoil (thus less flinch), or if it’s a complete myth. Without actually going to a range, beating up my shoulder, and testing slugs and sabots for 3-4 hours I just don’t know. I’ve heard it from enough customers though that I want to believe they’re right. When you shoot a 20 Gauge it isn’t all upside though; otherwise, there’d be no debate. If you hunt areas of heavy brush, 20 Gauge can lack the energy of 12 Gauge to bulldoze through and hit its mark. The Foot-Lbs. of energy exerted by 20 Gauge is vastly less over longer distances; actually cut to less than half at 100 Yards or more. So depending on where your secret hunting spot is positioned, 20 Gauge may or may not be right for you. Whatever 20 Gauge allegedly lacks in power, 12 Gauge definitely has. With muzzle energies that are literally double that of 20 Gauge, you can hunt anything in North America with a 12 Gauge shotgun slug. If you want to smack a whitetail deer so hard it practically rolls into the back of your pickup, then 12 Gauge has plenty of upside to consider. Brenneke makes a 3” Rifled Slug in 12 Gauge that is moving a 666 Grain slug out of your barrel; that’s larger than some of the bullets topping off .50 B.M.G. cases! Sometimes when you’re hunting big game, and I mean really big game, you need that blunt force trauma: “Horsepower! Heavy-duty, cast-iron, pile-driving punches that will have to hurt so much they’ll rattle his ancestors! Every time you hit him with a shot, it’s gotta feel like he tried kissing the express train. Yeah! Let’s start building some hurtin’ bombs!” (Rocky Balboa, 2006). So when the buck-of-a-lifetime steps out in heavy brush, you can send him some hurtin’ bombs in the form of 12 Gauge slugs. With more muzzle energy, you’ll also be able to reach out and touch your game in heavier cover so no passing on game because you think your slug won’t get there. All that power and energy does come at a cost though. Ask anyone who has had to sight in 12 Gauge shotguns for deer hunting and they’ll tell you it’s some of the most unpleasant recoil you’ll have to slowly subject yourself to. All this force can be damaging on your meat as well, meaning less venison in the freezer. Also, as I mentioned previously, it’s hard to substantiate what I hear word-of-mouth from my customers, but the general consensus is 20 Gauge is more accurate than 12 Gauge when it comes to slugs and sabots. I have killed plenty deer in both and both out of a smooth bore slug barrel with rifle sights. Both do the job very well. Must shoot to sight it in and be condfident to place the shot. I shoot a Winchester 1300 12ga scoped smooth bore now and 150yds I can keep a 3 shot group in a pie plate. Just returned from Illinois for my first deer hunt in a slug gun only state. Used my 20 gauge remington 870 with 18″ rifled slug barrel. Had 3″ group at 100 yds. with a Vortexx 3.5 x 10 scope mounted on cantilever. Was using the Hornady 250 gr. SST slugs as they seemed to provide the best group. Tried shooting 163 yard target at camp and found I had about a 4-5″ drop from the 100 yd. target and with elevating the shot 4″ could shoot a 4-5 in. group. The second day of my hunt while after passage of a blizzard, shot a 140 class mature buck weighing 300 lbs. at 173 yards. Aiming about 2″ below the top of the shoulder the slug enter the right shoulder shattering the right leg, passet through the deer at top of brisket nicking the heart, and exiting lower shoulder shattering the left leg before exiting the deer. Dropped in his tracks. . Unbelievable what that slug did to that large deer at that distance. The guide and outfitter were reluctant in us using the 20 ga., however when we left they stated they had no problem with using that gauge on their lease. My son also using the same gun and slug took a 10 point at 150 yards on the last day. I’m a firm believer in both Hornady and the 20 ga. for a deer slug gun. That’s awesome to hear that you had such a successful hunt! We’ve had a lot of customers giving similar reports that they’re switching over from 12 Gauge to 20 Gauge and are having very successful results! Congratulations to you and your son on such nice deer you harvested this year! The 20 gauge is better. Go with Winchester Super-X hollow points. They have more stopping power than Remington and Federal (more accurate too). They do slightly more damage then Hornady, which would be my second choice. 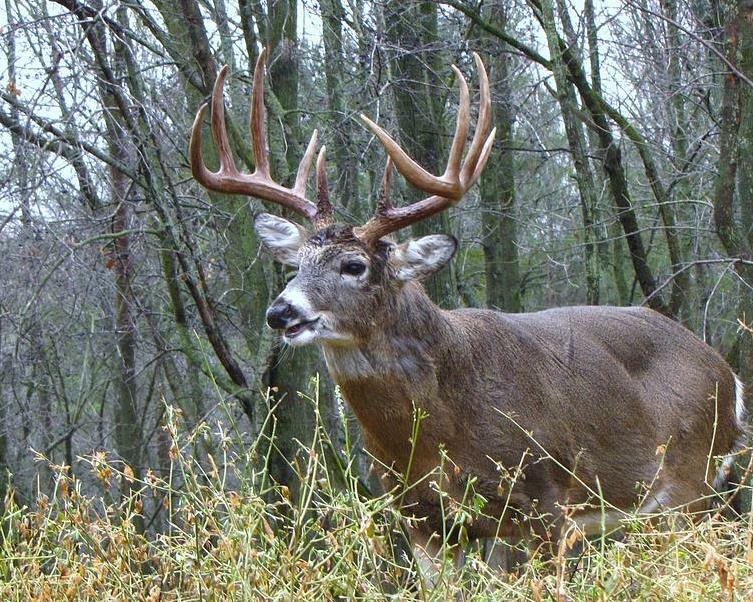 I shot a young buck last gun season and the damage was horrific. The Winchester slug went through the top of the longs, blowing a 4-5 inch chunk out of the spine, completely gone. It dropped to no surprise and stopped kicking 8 seconds later. 20 Gauge is definitely the way to go if you are in a slug zone. And I would have to agree with the Winchester slugs, they make potent stuff! anybody have any experience with remington sluggers? I personally have not shot them through any of my slug guns, but a lot of our customers tend to like them because they’re affordable and shoot decent. I have been using remington 3″ sluggers for 32 years for a controlled shotgun hunt in Ont. Shooting out of a 1985 Remington 870 Express Magnum, 20″ cyl bore barrel. Have harvested over 15 deer with it. 6″ groups at 100 yrds off a bench with open sights. Sluggers were the best match for my barrel. Feds and Win. Were 8″ and 10″ groups at 100 yrds. Shot many qualifications with the 12 gauge Remington sluggers. Offhand at 50 yards, touching holes weren’t that uncommon. No rifled barrel, just an old 870 Remington smooth bore with front and rear sights. Recoil even with 2 3/4 shells were unpleasant. We never shot anything but sluggers so I have nothing to compare them to but they certainly performed well.